RECON 62" Amber LED Running Lights w/ White Courtesy Lights (Pair)5Steven CapaldiMay 13, 2016These lights are a great addition to my truck. I love that they are a running light, turn signal and courtesy light. They were very easy to install. I used 3M mounting tape to attach them under my vehicle just above my running boards. Myself as well as my passengers can now see when getting into the truck. RECON LED Amber Running Lights are the perfect addition to your truck. 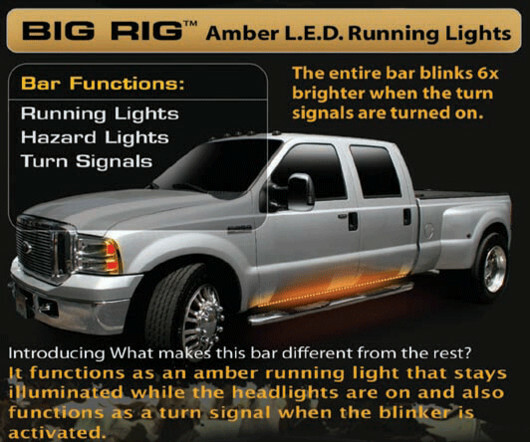 The LED Amber Running Lights install in minutes. You'll also enjoy a white courtesy light whenever you turn on your cargo lights. Extra-Strength 3M Adhesive pads on the back of the bar mean no drilling is required to install LED Amber Running Light Bars. 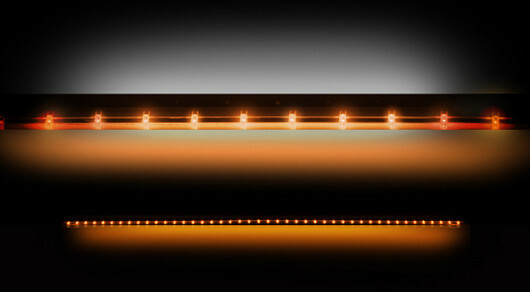 RECON offers their LED Amber Running Lights in two sizes, 48" for smaller trucks, and 62" for full size trucks. These light bars are universal, simply measure the length of the area where you would like to put the bar and make sure you have 48" or 60" of length. All RECON Amber Running Light Bars are 50 state street legal.